and the skylarks sings with me. 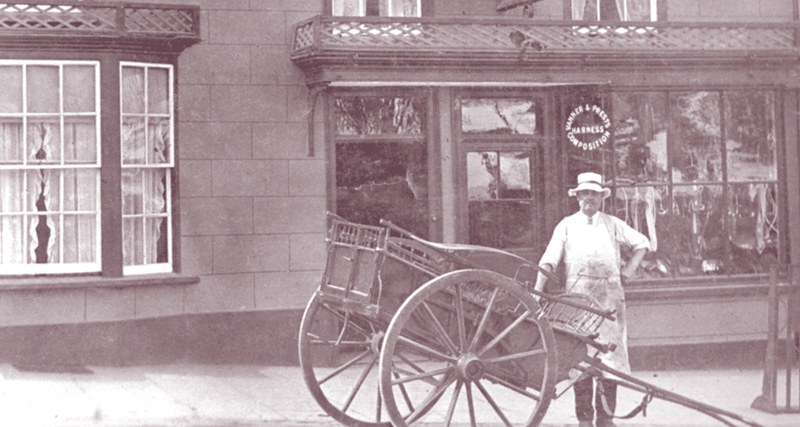 Frank Symes was a saddler and harness maker who ran a thriving shop. At 52, Frank was too old to enlist so he joined the local Volunteer Battalion. Records show that his business serviced 100 farmers and 300 horses. An advertisement in 1916 in the local paper says that ‘top prices would be paid for apples, blackberries, mushrooms and walnuts’ to go on sale in his shop. Part of the war effort was to encourage civilians to collect wild produce to help feed the nation. 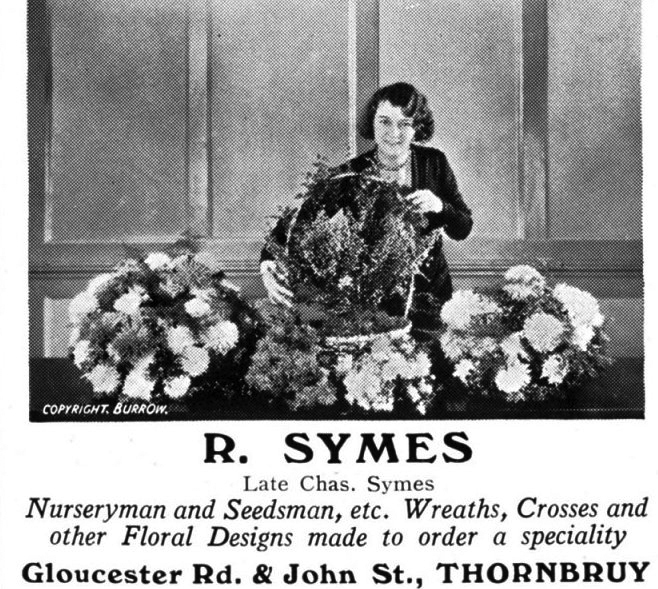 Rose Symes ran the garden shop. Her father, Charles Symes, brother of Frank, was a nursery and seedsman. The shop also sold flowers. Rose apparently lost her fiancé in the war and, like so many of her generation, never married. Rose inherited the family business and ran it for much of her life. She died in 1970 aged 82.